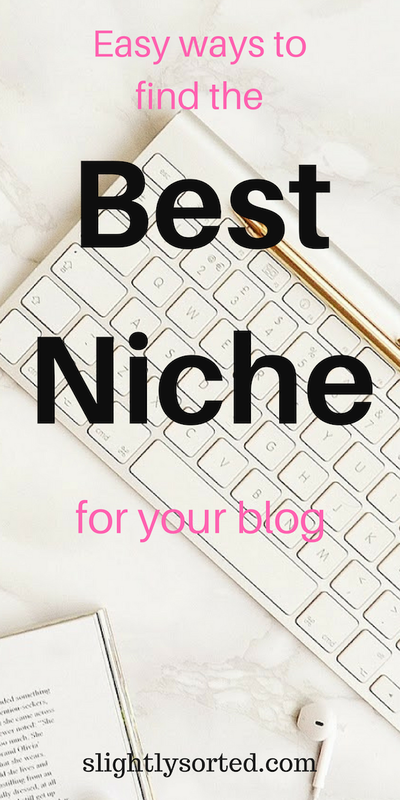 This post is going to help you to choose your blog niche! First things first – if you’d like a general overview of the process of starting a blog and what’s involved, check out How to Start a Blog in a Month. It’s written for complete beginners and will give you an honest insight into what you’ll be letting yourself in for! 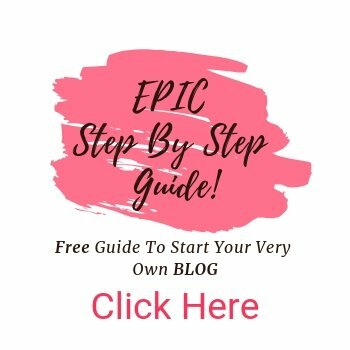 And if you’d like some totally clear step by step instructions to set up your blog, including all the screenshots to help you along, go to my Epic Step by Step Guide to Start Your Blog The Right Way! 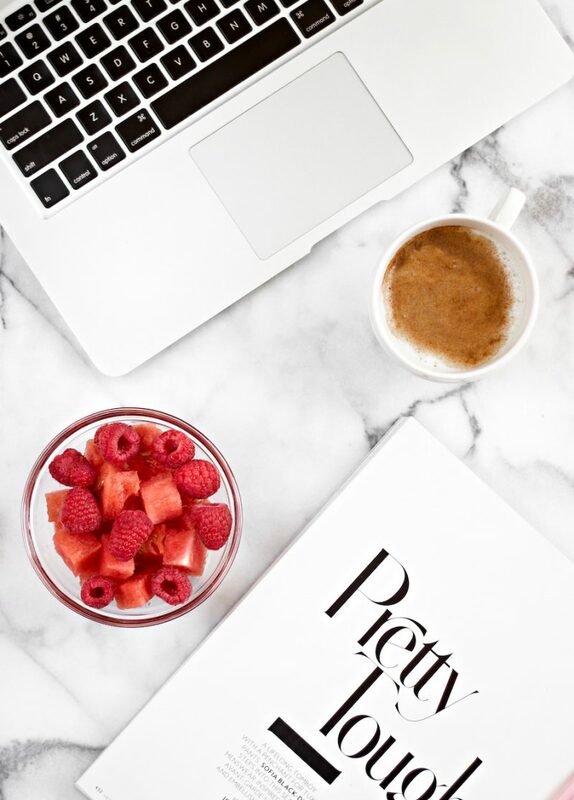 Let’s start with the real basics – when I started Slightly Sorted, I read a lot of advice about the process of starting your own blog (some very good advice, and some advice which I now know was terrible advice!!). Right at the very beginning, the word ‘niche’ confused me slightly! So, just in case you’re confused, in this context niche just means ‘subject’. So we’re going to be talking about what subject your blog is going to be based on. Also, you can use the ‘proper’ pronunciation of the word – ‘neeshh’ – or the modern adaptation (especially in the U.S.) – ‘nitch’. Why is choosing your blog niche important? 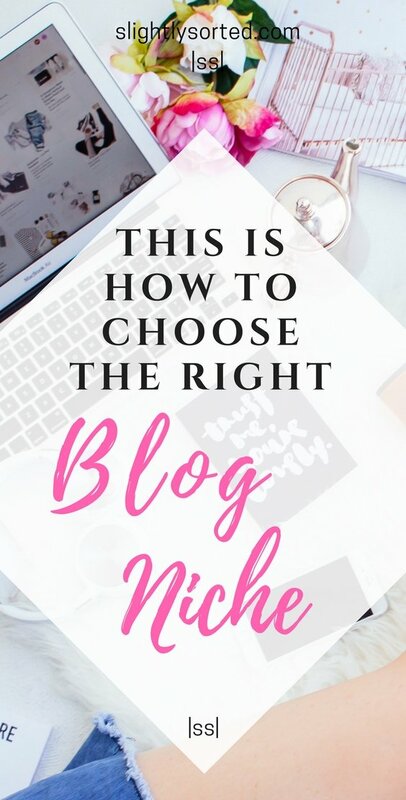 Choosing your blog niche is important because it can determine who your target audience is, how much money you can make with your blog, and the subject of the many blog posts you’re going to be writing. Hopefully you’re going to be creating a successful blog that’s going to be around for a long time – so you don’t want to pick a niche that you’re going to get bored with. Having said that, you probably won’t have a successful blog that’s going to be around for a long time if you choose the wrong niche! 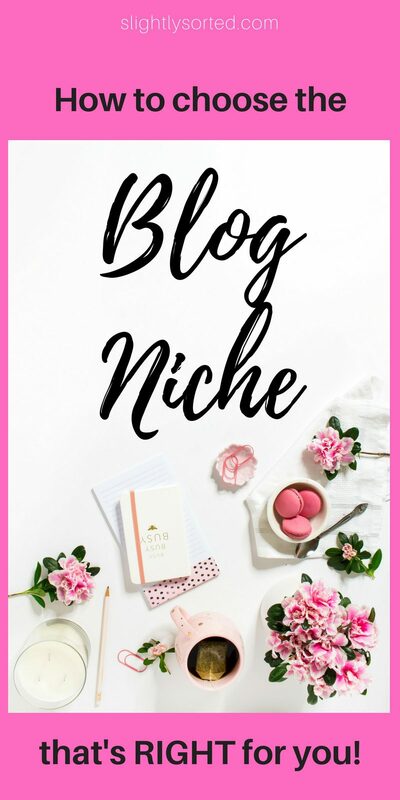 So, how do you choose your blog niche? First let’s talk about the approaches you can take when deciding on your niche, then have a look at which approach is the best one. First, you can think about what you’re really passionate about and really enjoy. That way you know you’ll never get bored, you’ll have tons of ideas for what to write your blog posts on, and your enthusiasm will show in your writing, which is great for your readers. BUT what if only a very small number of other people are interested in that same subject? That means only a very small number of readers, and generally that means it’s going to be really difficult to make any decent money with your blog. Alternatively, maybe there are a decent number of people interested in the subject, but it’s a really difficult subject to monetize. For example, think about a blog about collecting sports cards. That’s something a lot of people are into, but how are you going to make money from it? Are there products for sale that you could be an affiliate for? Is there a product that you could create that people coming to your blog might buy? Off the top of my head, the options are limited. You could make money through ads on the site, but for that strategy to work really well, you need to get a really big number of visitors to the site. Maybe you’ve thought of something you’re passionate about, you know lots of other people love too, and you can think of some ways to monetize it? Let’s take makeup as an example. Maybe you’re obsessed with keeping up with the latest makeup products, and you know lots of other people are too. So, you’ve definitely got an audience there. It’s also a niche that works well for affiliate products, because you can include links to makeup and other related products. You could also consider selling your own products – maybe an ebook on makeup techniques, or a course of video tutorials. 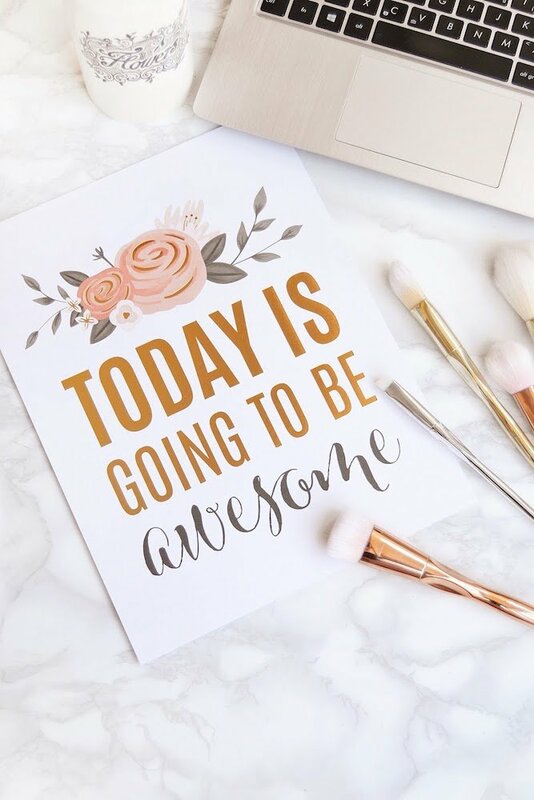 And, since there are so many people into makeup, there’s potential for enough visitors to enable you to make a good amount of money through ads. That’s all great… but, wouldn’t you know it, there’s a big downside to a niche like that too. That downside is that the niche is sooo popular that it’s become saturated. So how are people going to find your blog in amongst the hundreds of already established similar blogs? Choosing a niche that you know to be very popular is quite a logical approach. 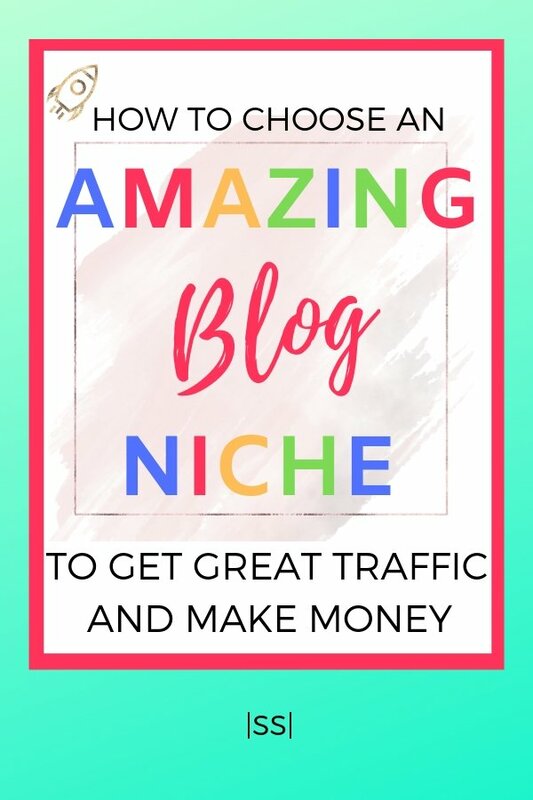 You know that there’s an audience for that kind of blog, and you know that there are lots of blogs in the niche that are seeing a lot of success – hence the popularity. But, as I’ve alluded to above, it can be very difficult to stand out and to actually get your blog in front of readers in a niche like this. First off, you can utilise good SEO (Search Engine Optimization) practices, in an effort to get closer to the top of google searches. Mainly that means writing long helpful content, and doing some keyword research. The problem is that everyone’s doing that. One possible strategy when it comes to SEO is to look for more unusual things that people are searching for within the niche and write about those. That’s because there’s going to be less competition for those search terms, making it easier for you to get to the top. So, you’re writing in a popular niche, but you’re ‘niching down’ within that niche! Let’s go back to the example of a makeup blog. You’d just need to be sure that there are still lots of people who want to know about those ‘sub’ niches – we’re going to talk more about that in a moment. Also with this approach, you don’t necessarily have to base the entire blog around the ‘sub’ niche. 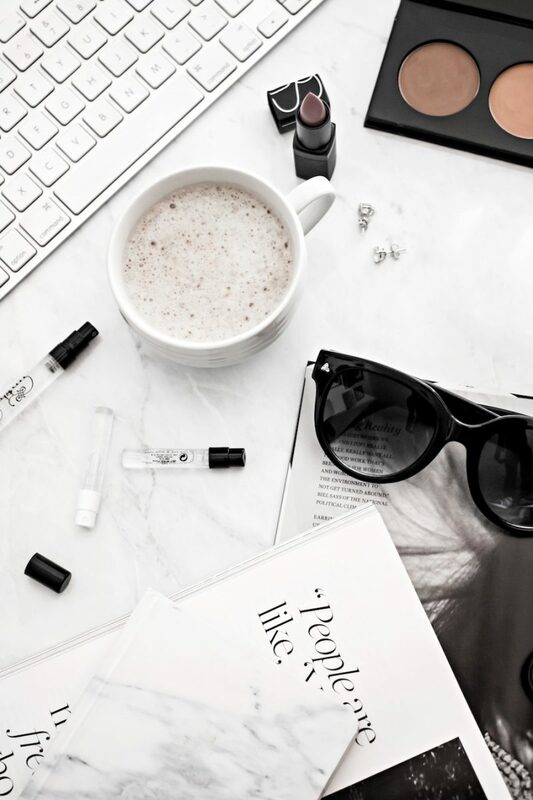 You could still have a general makeup blog, but look for more unusual questions that people are asking or problems they’re having, and base your blog posts around that. Another way to stand out in a popular niche is to initially get readers through social media rather than google searches. The best social media to use for this strategy is Pinterest (technically Pinterest is more of a search engine than social media, which is why it works so well). If you can create amazing pins that really stand out, and use a really good pinning strategy, then it’s totally possible to get many more readers that way than you’d stand a chance of getting through google. It still has to be said that getting traffic through Pinterest in a popular niche is still going to be a challenge for exactly the same reasons, but it’s much more realistic than competing against hundreds, maybe thousands, of similar blogs for google traffic. What are the popular niches? So how do you know for sure whether or not a niche actually is super-popular? There are three great ways to find out how popular and successful different niches are. First, head over to Pinterest and do a search on the subject (Pinterest is an incredible resource for bloggers). What kind of pins come back when you carry out the search? Are there loads of pins on the subject, or just a few? Are they high quality pins that look professional? What are the websites they link to like? Attractive and professional, or not so much? This can be a great way to get a general feel for how other blogs in the niche are doing. Another resource you can use to help you choose your blog niche is buzzsumo.com. Just type in the subject you’re interested in, and it’ll show you some of the most popular posts on that subject. Check out those links to see how the sites/posts are doing. You can also use Buzzsumo to search on specific websites, to find out what the most popular posts on that site are. The final approach you can choose to take when choosing your blog niche, is to go for a narrow niche. This is really the exact opposite of the approach above. The logic here is what we’ve already mentioned – if you choose a less popular niche (i.e. there are fewer blogs on the subject), then you automatically have less competition when it comes to being found through a google search (or any search engine for that matter). The flip side of that is that there are also fewer people actually searching on the subject. So this approach is a balancing act. You’d have to find something that you know has a big following, but that isn’t so popular that there are already LOADS of blogs on it. And again, remember to consider how you’ll ultimately monetize your blog. Archery. I think there are a lot of people into this, but it’s still quite unusual. You could find lots of affiliate products, and potentially create your own resource like an ebook. Sailing. Same thing here, and maybe you could even niche down further to something like sailing holidays. Another consideration is that the affiliate products in this area would probably be more expensive ones, and possibly people checking out sailing blogs would have cash to spend. Drones – definitely growing in popularity, but still not something that every other person is into. DJing. Loads of equipment to link to. Those are just a few ideas – hopefully you can see where I’m coming from with this? If you’re going to take the approach of finding a ‘narrow’ niche, just make sure that it’s something that you are actually interested in. 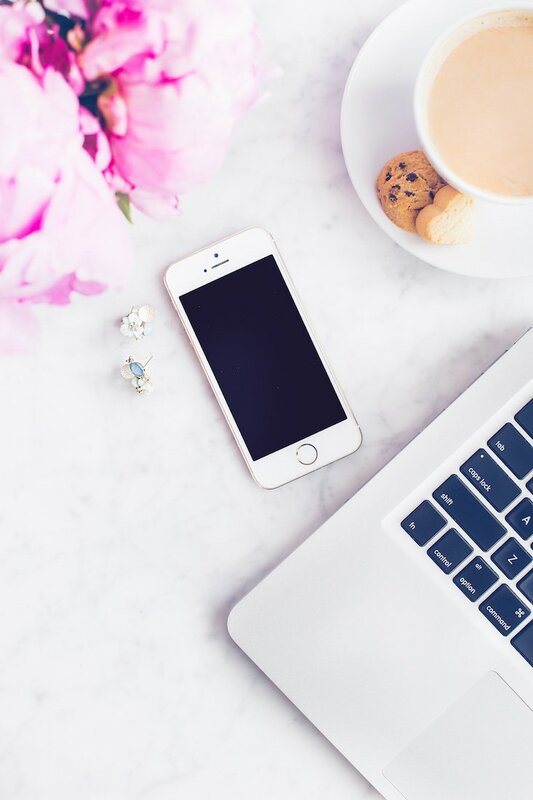 If you’re serious about blogging then hopefully you’re going to be doing this for a while, and you’ll find it difficult to stay enthusiastic and consistent if you’re blogging about something that you don’t have the tiniest bit of interest in. To be fair, if you started making a ton of money with it, you might be able to whip up some enthusiasm on the subject. But that’s very unlikely to happen right away, and you need something that makes you want to keep coming back and writing more. So, to use myself as an example, I’m not about to create a blog all about drones. I think it could be a great niche to choose, but it would bore me senseless. So, which approach should you take? Ok then, so what’s the best approach to take if you want to end up with a really successful blog? Should you go with what you’re passionate about, something that you know is really popular, or something that’s a bit more ‘specialized’? There is no one way that’s best – sorry! Hopefully everything that we’ve gone over above has shown you that there can be pros and cons for any niche out there. You will come across people who tell you that it’s definitely better to choose a popular niche, and you’ll come across people who tell you that they should be avoided like the plague. It’s all a bit of a balancing act, and you have to decide what makes most sense to you. If you want to make money with your blog, don’t just blindly choose something you’re passionate about and run with it. Consider how many other people are interested and how you’d go about making money. If you follow the logic that a popular niche is a good one to choose because you know that lots of blogs are successful in that area, then think about what you’ll do to stand out from the crowd. Will you write about more unusual things within the niche, or aim to get traffic through a really good Pinterest strategy, or think of some other way to do something a bit unique? If aiming for a more narrow niche makes sense to you, just be sure that it’s something that still has a big enough following, and something that you can make money with. If you’re unsure, start broad to begin with. You can always niche down at a later stage if you want to, once you get a feel for what’s working best. If you’re drawing a total blank and can’t even think of where to start with choosing your niche, then check out the list below. These are just a few niches I came across during half an hour of random on-line browsing! Read through them and see if any of them spark an idea for you. Then, start googling some of them and see what comes up. Is there anything that feels good to you, or anything that gives you an idea for a good ‘sub’ niche? And, of course – How to Start a Blog! One final point I’d make when it comes to choosing your niche – don’t think that you have to be an expert in whatever field you choose to write in. Yes, of course you do have to know what you’re on about, or it’s not fair to your reader (plus, it’ll probably be obvious that you don’t know what you’re talking about). However, as long as you’re one step ahead of your reader, you will have something valuable to tell them. Say you’re writing about yoga – you don’t necessarily have to have years of yoga experience under your belt. If you started learning about it six months ago, then you have lots of valuable information to pass on about how to get started with yoga and the best ways to start off as a beginner. So there we go! 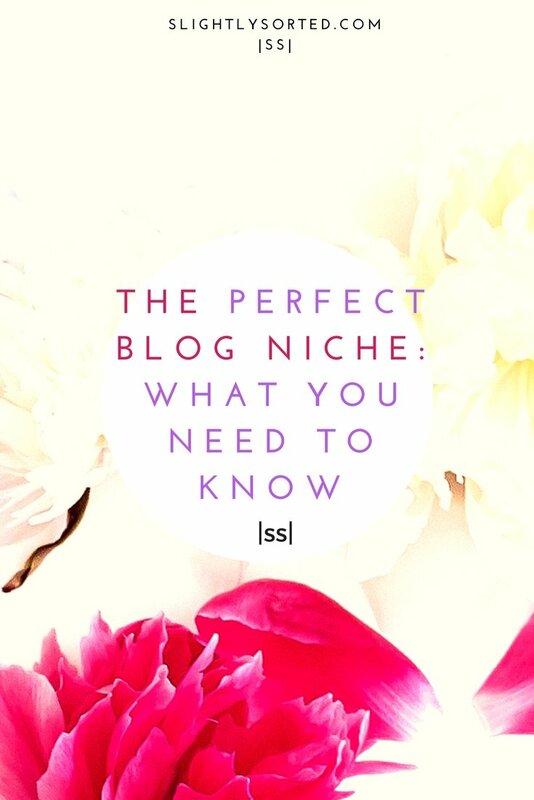 I really hope this has helped you in thinking about how to choose your blog niche. I would love to help you if you have any questions for me – get in touch and ask away! My own post on how to start a blog in a month. This Epic Step By Step Guide To Starting A Blog – the best step by step guide you’ll find. Best free blogging advice I found when starting my blog – this free 12 day email blogging bootcamp. The best web hosting to get started with. ENJOY CHOOSING YOUR BLOG NICHE AND STARTING YOUR BLOG… I WISH YOU ALL THE LUCK IN THE WORLD! 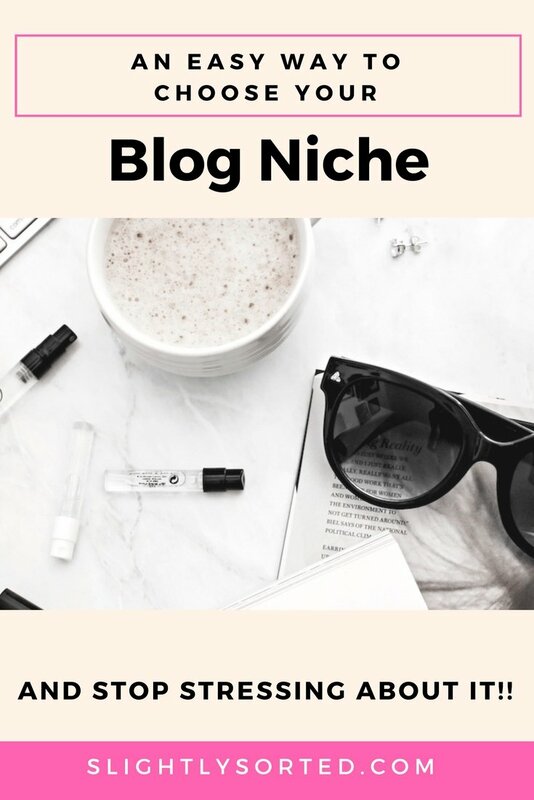 Enjoyed this post on choosing your blog niche? Why not save it for later on Pinterest! Previous Post EPIC Step By Step Guide: Start A Blog Or Website The RIGHT Way! Thank you for this post. Choosing a niche is so hard when you love so many things. I had to gradually change my niche but I’m still like “Did I choose the right one?” Ha ha. 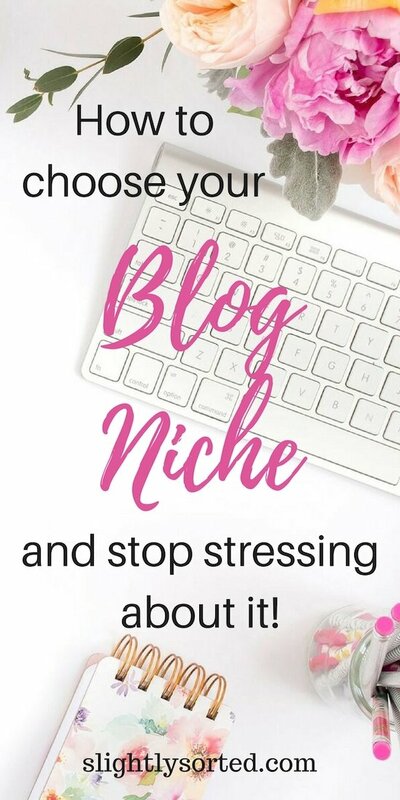 But your post explained the process nicely and will help others focus on choosing a niche instead of focusing on the stress of choosing a niche. Thanks Stephanie, you’re very welcome and I’m really glad you enjoyed the post!